2011. 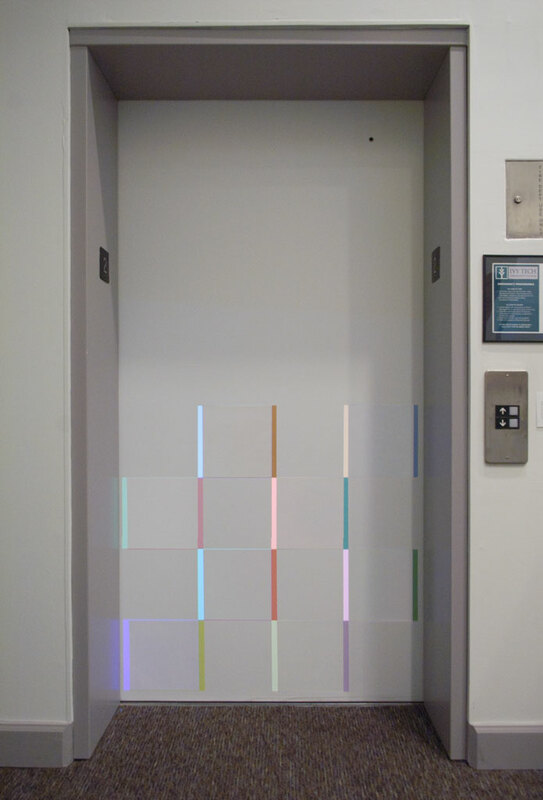 Latex paint and projection on elevator door. 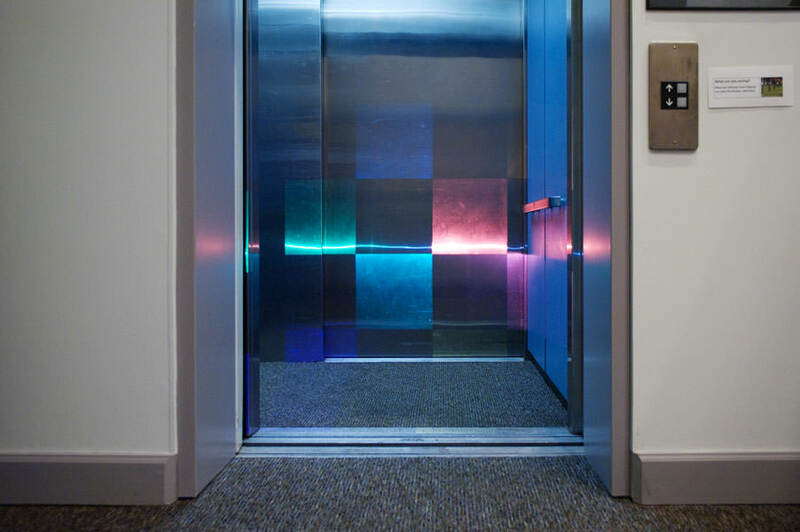 Open and Close consists of eight colored squares painted on the main level elevator door in 122 South Walnut Street in Bloomington, IN. 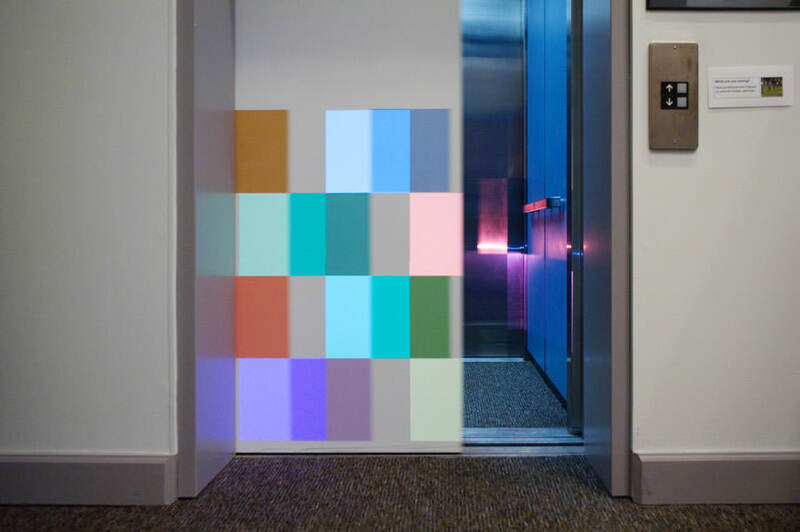 Onto these are projected eight more squares of color chosen to neutralize the painted squares. 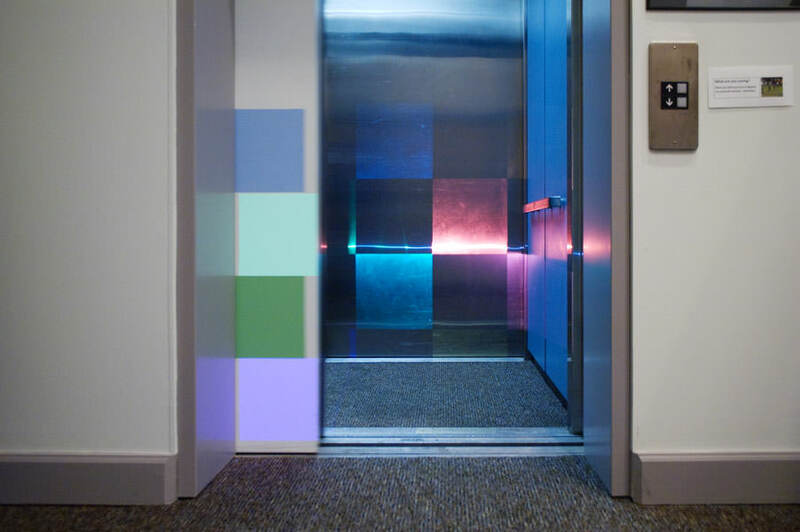 When the elevator door opens, these swatches slide out of alignment with one another.